OneMain Financial offers actual loans to consumers to consolidate their debts as opposed to a consolidation service. Interest rates and other fees are unknown. Untraditional consolidation company: OneMain Financial’s prime service is personal loans, and while they also offer consolidation loans, these are much different than an actual consolidation. The positive aspect to this is that you can consolidate more than just credit card debt, such as auto loans. Lacking accreditations: OneMain Financial does not appear to have standard industry accreditations such as AICCA and NFCC accreditations. Free consultation: OneMain Financial offers a free consultation with a credit specialist for prospective new clients. Lacking transparency: OneMain Financial does not disclose monthly and upfront fees or interest rates. Lack of educational resources: The company does not provide credit counseling to help consumers understand the benefits and downfalls of consolidation, nor do they provide beneficial informative and useful articles. Poor customer reviews: The company’s reviews are mostly negative on our site. Reviewers typically complain that their consolidation loan actually requires collateral and that it didn’t get them lower interest rates. They also agree that the customer service reps are difficult to work with. Our recommendation: Because of a lack of transparency and poor customer reviews, we recommend another company for debt consolidation and counseling services such as Consolidated Credit. Monthly fees are not disclosed at this time. Up-front fees are not disclosed at this time. Debt consolidation loans do not have the same refund policy personal loans hold. There is no money-back guarantee associated with a consolidation loan. However, personal loans have a 14 day policy – if the money is returned, there will be no penalty. After 14 days, consumers are tied to the loan through the term length. Anyone with the desire to apply for a consolidation loan through OneMain Financial may call 877-540-6246 where an operator can help determine qualification, as it is dependent on credit approval. 105 years. One Main Financial opened their doors as Commercial Credit in 1912, and throughout mergers and added affiliates became OneMain Financial in 2011. Limited educational information is available. 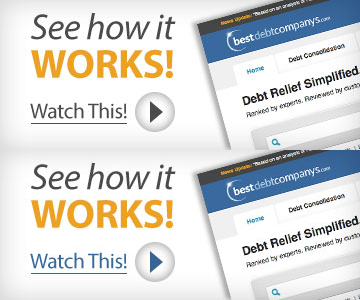 For debt relief purposes, OneMain offers just one product: debt consolidation loans. These loans can cover previous secured or unsecured debt as long as it falls into the category of “personal consumer loans”. They do not do auto loans, mortgage or other types of third party loans that would involve any other merchant. Yes. They do have a mobile website. There is no mobile app, but the site works well on smart phones and is definitely mobile friendly. Since a loan can’t be canceled once granted, and since a consolidation loan is the only debt relief product offered by this institution, there is no need for a cancellation policy. In terms of debt relief, OneMain Financial’s only product is the debt consolidation loan. Some collateral may be required to qualify, based on the customer’s circumstances. They do not do any type of debt negotiation, settlement or adjustments with creditors, nor do they re-age unsecured debt obligations. There is no minimum debt the company will handle, but as with any lender, the amount loaned is based in part on the credit worthiness of the borrower. OneMain customers are able to login to the OneMain website to modify their personal information, view payment activity, and make online payments. One of the worst decisions I have made in a long time. After 3 years of repayment , I will be finally done with this loan and these people! (Last payment next week) . I encourage everyone even considering such a loan…DONT!!! Borrow money from a relative , get a second or third job or just don’t address the crisis that you may be in. Let it happen and maybe in the long run it is better for you, then getting into a situation in which you have made a contract with loan sharks. I was desperate when I went in for a loan, for something I thought I needed money for. I allowed them to persuade me to re-finance my car and since I had a luxury car, I was able to get top money for the loan. It’s been a nightmare every sense with a high interest rate and high car payment. I went from pay $400 a month to about $630 a month. Then they made a mistake and did not realize that I was already paying car insurance on the car and unbeknownst to me , adding insurance to the payment. So, about 2 years I was paying insurance on the car twice…through my private insurance and tack on insurance from them. My insurance company informed me that they had sent notice to them several times that they were the insurance company for the car. I finally was able to get that cleared up and they had to apply the already paid extra money to my overall balance . No apology, no nothing. Then the harassment from this company if you are late is at a new level. They have called my job, when I asked them not to, called my elderly mother in another state and that’s when I lost it and went off. I consider them to be unprofessional at the most and just rude at the least. Our relationship will be coming to a needed and blessed end next week. But if there is anything that I can tell other consumers, let it go…lose what you trying to keep, in the long run it is a life lesson we all have to learn about our finances. I learned the hard way, but my journey is almost completed. STAY AWAY FROM THESE PEOPLE AND THEIR COMPANY!! I would try anywhere else to get a loan. These people are horrible! When trying to get a very minimal loan of only a few thousand….ALL they want to do is refinance vehicles at a HUGE interest rate. DO NOT TRUST! This company is full of it. What ever you feel like you want it full of to fill that “it” other than honesty and integrity. I got quoted a rate…. then it wasn’t a final rate… then the final rate quoted over the phone was not the final rate when I got in the office. They’ll pull a switch on you. they’ll tell you over the phone you have a certain interest rate and payment. when you get there…they raise the interest rate and say that oh they cant offer the lower rate unless you add on 2000 worth of extra roadcoverage and insurance. wtf. I guess desperation is desperation. Predatory lending and games at its finest by far. Been with One Main for couple of years. If my monthly payments are $205 I set up reaccuring payment of $300 . Wanted a new loan to buy a trailer for my car fixing,( classic car ),business . When I finished with application I was informed ther would be no problem. My credit score was 710 Before they check me out. I then asked what would be my interest rate and she told me 35.99% . What the I said , why. She informed me that it wasn’t set by my credit worthiness, but by the amount you barrow. Apparently the amount of $1400.00 wasn’t enough. I told her I had the rest ,($1000.00 ), to perches the trailer. I asked her why would you charge the maximum amount allowed by the government to a good customer with good credit? She informed me there are other companies and I should try one of them. One day the Lord will put the meek in charge and the money grubber’s will be nothing. That is a promise made that will surely happen! Have had one main for along time (4 loans ).Never been so disatified with the office in savannah ga.never been late on any loan payments but when i moved down here to savannah got loan threw them .OUT OF ALL LOANS I HAD BEFORE NEVER BEEN SO UNHAPPY WITH THIS BRANCH ALWAYS CALLING 3-4-5 TIMES A DAY IF YOUR PAYMENT IS NOT DONE ON DUE DATE ,WHICH YOU HAVE A 10 DAY GRACE PERIOD WILL KEEP CALLING EVERYDAY UNTIL YOU MAKE PAYMENT.SO I INTENSELY DONT MAKE PAYMENT ON DUE DATE JUST TO WASTE THERE TIME! DONT RECOMMEND THIS COMPANY TO ANYBODY.NEVER HAD PROBLEM WITH OTHER LOANS FROM THIS COMPANY FROM ANOTHER BRANCH. I busted this company fraudulently billing me late fees. Caught them doing it 3 times. I couldn’t get it fixed over the phone. Then I would get it fixed and they would do it again the next month. It took roughly 90 minutes a month to make a payment and not pay fees I didn’t owe. Filed a complaint with the Attorney General’s Office for the state of Minnesota and it finally stopped. Paid off the account last month. Paid in full. Now I owe $390.00 in “they think” penalty interest for paying the loan off early. I’m going back to the Attorney General’s office. This is a corrupt company and they will screw you. I was two days late on a payment due to losing my job. I had to explain to three people in the office my situation then the manager proceeded to threaten the vehicle that was on loan and try to bully me into setting up a payments from my checking account. This was not the first issue with them. I had gone to their office to change the bank my account was withdrawn from as my husband and i had separated but they still took the payment from the incorrect account. If you don’t have business with them I don’t suggest you start. Lack of Communication never call you back, my application was under someone taking vacation and got delayed I felt they were starting to get annoying when I asked to many questions because they were short of staff and the manager was out for training, they make you send them a lot of paperwork and your application still incomplete, they want me to borrow 15,000 and refinance my car thru them instead 1500 very misleading, I told them I didn’t want to proceed and cancel, I need the money but I won’t let them take advantage of my situation. Credit Karma recommended One Main Financial, shame on them. After reading the reviews I went through some of the process of obtaining a consolidation loan, shame on me. I would suggest that the gal that talked to me on the phone, and stated the terrible offers her superiors came up with, should look for better employment and not put One Main Financial on her resume. Rude customer service, poor billing process. A $8000.00 lian after 4 years was $16700.00. Thats not helping people,its robbery of good people,plus collateral,and over pushy staff.Never again.. They are like used car salespersons, underhanded and sneaky. Will say and do anything to get you to get a loan with them. Be careful of anything they present to you as far as insurance, ANYTHING. It’s not what it is. They say one thing and when something comes up and you need to file a claim, insurance you have paid for to ensure that if something does occur in your like that you are unable to pay, then the insurance will come in place. One Main’s insurance carrier does everything and anything, from requesting documents, after receiving what they requested, acting as if they didn’t get it, only to send again and then being told ok, will send to another department, over and over. This going on for months, then after months of back and forth, they present something else needed, when knowing full well they have it, it was sent over and over with their first, second and third. Finally, after months them pushing your claim to different departments and representatives, the claim will be denied for some frivolous or technical issue. They will try and find ANY reason not to pay a claim. DO NOT GET THE INSURANCE, IT’S USELESS. One Main has full knowledge of Triton’s practice of unfair dealings and practices of avoiding payment of claims and still encourage customers to get the insurance coverage using tactics such as “in this climate today you need insurance, anything can happen, what if you lose your job, then your loan will be covered”, Bull. Don’t listen, remember they are used car sales persons. 15 people found this review helpful! My elderly mother got a flyer from One Main in the mail. She called and went down for a loan. She was 73 with beginning of dementia. She took out a loan and then 3 months later took out another for a total of $7200 in Aug 2015. She has no memory of it. They are automatically taking 273.00 per month from her bank account. She gets $1300.00 a month between SS and pension. I called One Main as I have POA , and was advised that the balance is $5600, and the payoff is $6K. I said after paying almost $5400, how is that. The reply was 36% interest. I have no idea how she even qualified. This to me is predatory lending to the elderly. Trying to figure of what to do. Maybe just close her account at the bank and open another somewhere else, and tell them to pound salt…. There has to be a place to file complaints on this type of lending. When I took out a loan from One Main Financial I also took out disability insurance at the signing of the loan. After about a year I was diagnosed with an illness that disabled me. As a result, I submitted a claim to have my loan paid off and was denied, with their insurance claiming I had a pre-existing condition…mind you when I took out the loan I was healthy and working. After several stressful conversations with One Main I was refunded a potion of what I paid in insurance and case was closed. With medical bills accumulating I could not afford to hire an attorney to fight back. Long story short…PLEASE DO NOT ACCEPT ANY INSURANCE THEY OFFER! IT’S A SCAM!!! Also, if you’re (1) day late with your payment they will constantly call as if you’re (10) days late! If at all possible, DO NOT TAKE A LOAN FROM THESES PEOPLE!!! THEY ARE WOLFS IN SHEEP CLOTHING!!! If I was a betting person, I would bet I’m not the only person they have scammed with this deceptive maneuver! One main financial is a scam. I’ve been with them for a long time and now I’m filling bankruptcy and wiping out my debt. They will call me constantly after a representative of up right law send them a letter stating don’t not contact me at all. That’s a violation after the representative from UpRight Law contact them not to reach out to me. Then recently one main financial send me a letter saying they are going to take legal action if I don’t pay knowing upright law representative told them not to reach out to me . don’t do any business with them. They will rip you off and let you take out another loan without the old one being paid in full. I don’t think that’s right . I asked them several times too help me refinance my loan too drop my payments and she refused too help me, and I also asked her too take me off of auto draft because every month I’m going in the red because I can’t make the whole payment. They are very rude too you when you talk to them on the phone or in person. I wish I had never borrowed money from them. I’ve already paid back the money I borrowed and they said I still have 34 payments too make. 13 people found this review helpful!